WM. 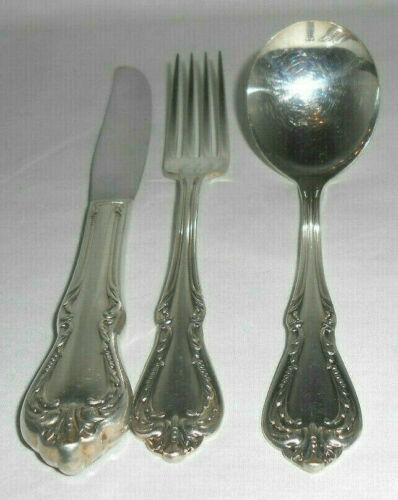 A. ROGERS KING ARTHUR PATTERN - 72 PC. 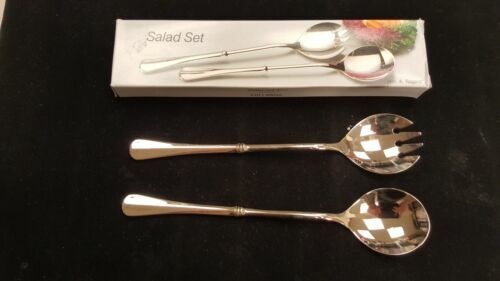 SILVER PLATE FLATWARE SET - NICE! 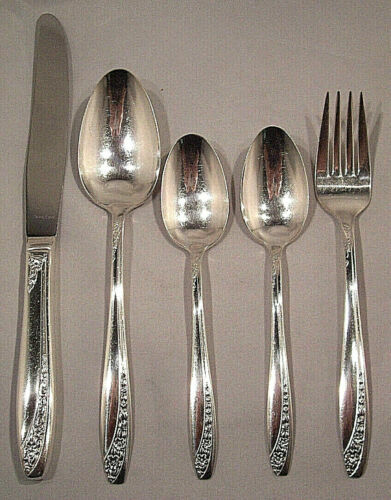 5 pc silver plated flatware "Chalice" aka "Harmony" 1958 by Oneida Monogram "C"
6 Pc LA CONCORDE Wm A Rogers Silverplated DInner Forks7.5"
2 Silver Plate Forks "Warwick" 1-Pickle 1-Salad 1901 by WM A Rogers GORGEOUS! 13 Piece Set of Wm. Rogers Mfg. 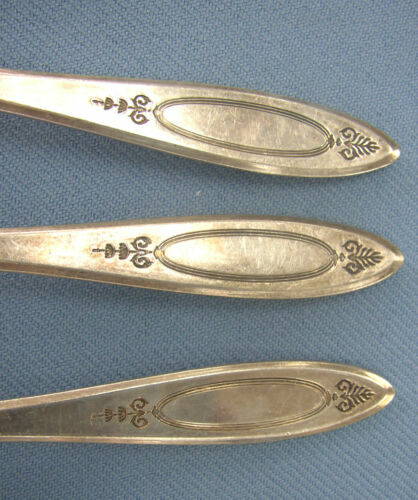 Co. Pattern: Avalon Circa:1940s. 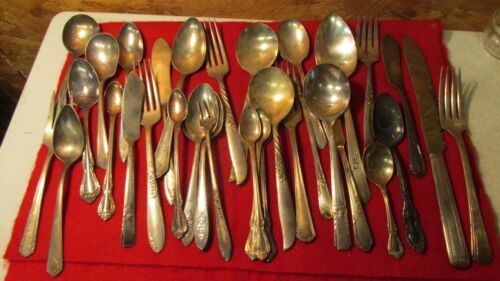 WM A. Rogers AA Heavy Oneida LTD Silver Plate Flatware Artistic 1940’s 34 Pc. 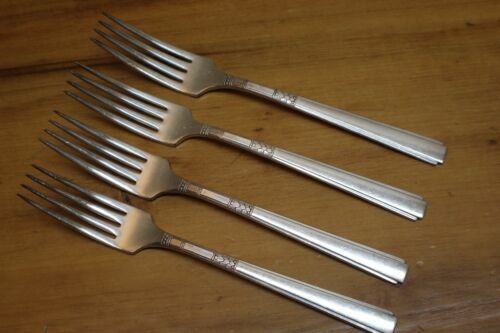 20 PCS WM A. ROGERS SILVERPLATE FLATWARE "PICKWICK"
5 Beautiful Pcs of Silver Plate Flatware "Starlight" 1953 WM. Rogers BEAUTIFUL! Wm. 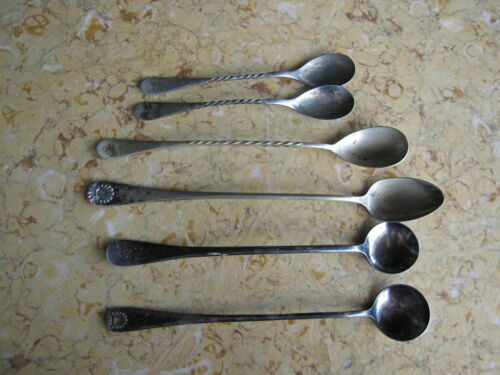 A Rogers A1 Plus Silver plate soup gravy Ladle Oneida Ltd Meadowbrook 7"